I remember my firstborn’s face so clearly from that first ultrasound — his sweet lips, his turned up nose, his big eyes, and the tiny fist of fingers that never moved from his mouth. I felt like I knew him instantly when he was born because I’d already “met” him. This second time around, our baby’s been a bit camera shy to say the least. After both the big anatomy scan and a bonus ultrasound, we had still yet to see what our baby looked like. After the third ultrasound, where the face was finally revealed, I can’t say the same about “meeting” my second child like I did with my firstborn. I’ve been carrying this growing child for eight months now, yet I still can’t relate to him/her at all. 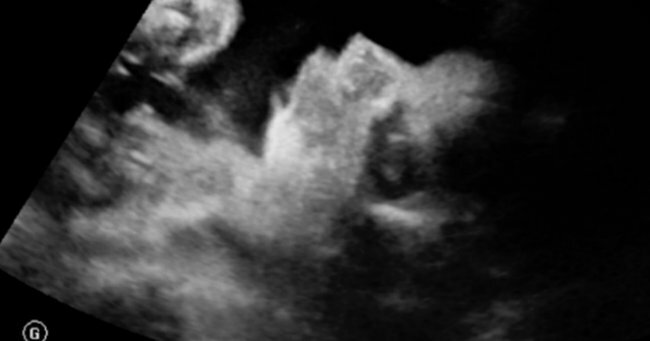 I don’t know if it’s because I was expecting to see my son’s face reflected in this baby or not, but as soon as I saw the ultrasound photo, I felt like there was a stranger inside me. In the midst of feeling like a horrible mother and human being, I stole a sideways glance at my husband and immediately saw in his eyes that he felt it, too. 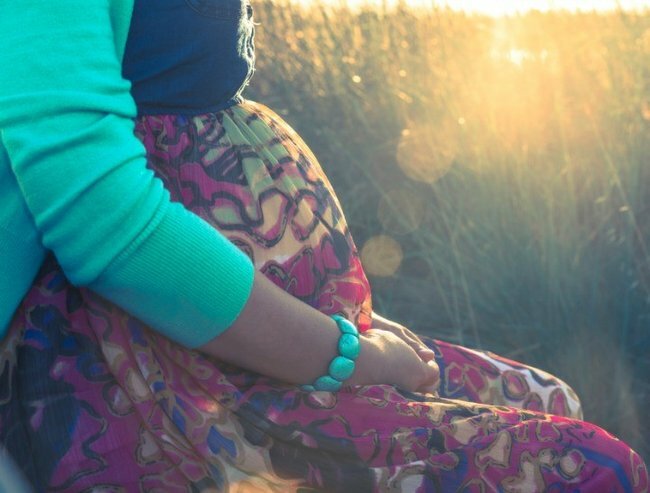 I know it’s completely normal to not feel an instant bond and connection with your baby during pregnancy, and even right after. It can take time and adaptation to really, truly fall in love. But here I am eight months pregnant and what bond I did have with my growing baby feels like it was ripped away from me, all because of an innocent ultrasound. You would think, if anything, an actual photographic glimpse of your child would help build the bridge that lets you connect and identify with your baby, but for my husband and I, it was the exact opposite. 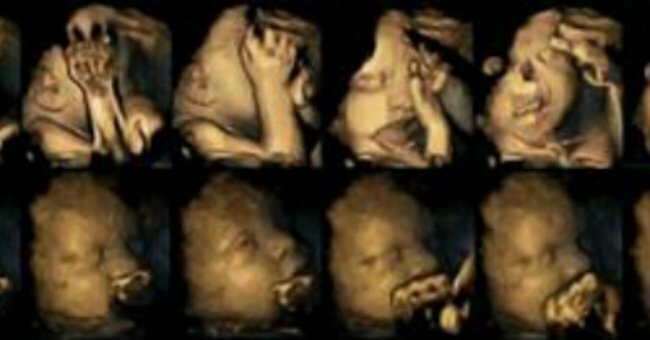 Perhaps it’s because it took almost the entire pregnancy to lay eyes on more than just a spine or elbow, or perhaps it’s the fact that the only experience I’ve had in the world of ultrasounds is the face of my first child and this was not him. Whatever the reason, I suddenly feel completed disconnected and physically separated (as impossible as that sounds) from this baby growing inside me. Here I am eight months pregnant and what bond I did have with my growing baby feels like it was ripped away from me. The real fear this instills in me is that I won’t be able to connect to my baby when he or she is born. That I’ll go through hours of labor and give birth, finally having that sweet baby placed in my arms, only to feel like it’s not mine or that he or she doesn’t belong in our family. I instantly fell in love with my son when he was born three years ago. Although my love definitely grew into something greater as I got to know him more, that instant feeling of belonging was there without a doubt. I didn’t know my firstborn before I saw his face on the ultrasound, so why is it so different this time around? I’ve tried hard not to compare my pregnancies in hopes that I’ll also not compare my babies, but simply uttering these words out loud has me feeling like I’ve already failed at raising siblings. 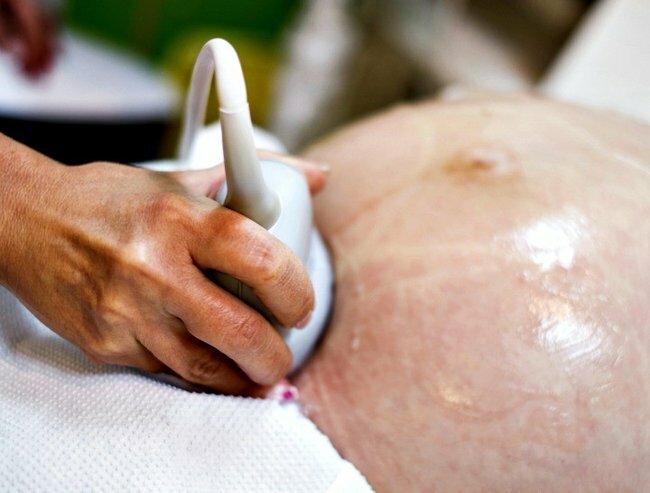 I didn’t know my firstborn before I saw his face on the ultrasound, so why is it so different this time around? Why can’t I connect and make room for this new, unfamiliar baby in my heart? I know technology can be both a blessing and a curse, and I’m not sure which camp this falls under. A blessing because I can learn my baby’s healthy, but a curse because otherwise I wouldn’t even be able to dream up these feelings. Or perhaps a blessing because I can work through this discomfort and shock now, before I have a baby to hold in my arms and care for. I know I might sound crazy — I’m the first to admit it. But the realization that my husband — the most level-headed, non-overreactor I know — felt the same thing without me uttering a word, let’s me know I’m at least not alone in my world of crazy. This post was originally featured on Babble.com.